T.T. is bursting onto the scene with the help of two of the finest emcees the midwest has ever produced on the track “Midwest Meltdown” featuring Tech N9ne and Twista. As it turns out, T.T. has been a fan of Tech N9ne for quite some time and gave us the 411 on his favorite tracks from the King of Kansas City. Not only would I listen to the song at various times during the day and evening, I listened to it before every hockey game. One of my favorite songs and is my favorite drink and I will back Tech on that drink 100%. Too good. More cruising around. Also listened to before hockey games as well as cruising around etc. Played constantly at parties constantly, great song. Is now my all time favorite because Tech liked it enough when he heard it to agree to get on the track with me and that’s a huge honor. That track is a banger. 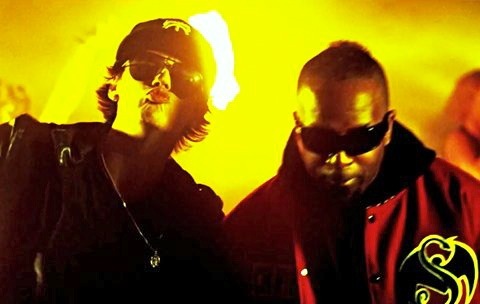 Be sure to check out “Midwest Meltdown” featuring Tech N9ne and Twista, now available on iTunes! What do you think about “Midwest Meltdown”?